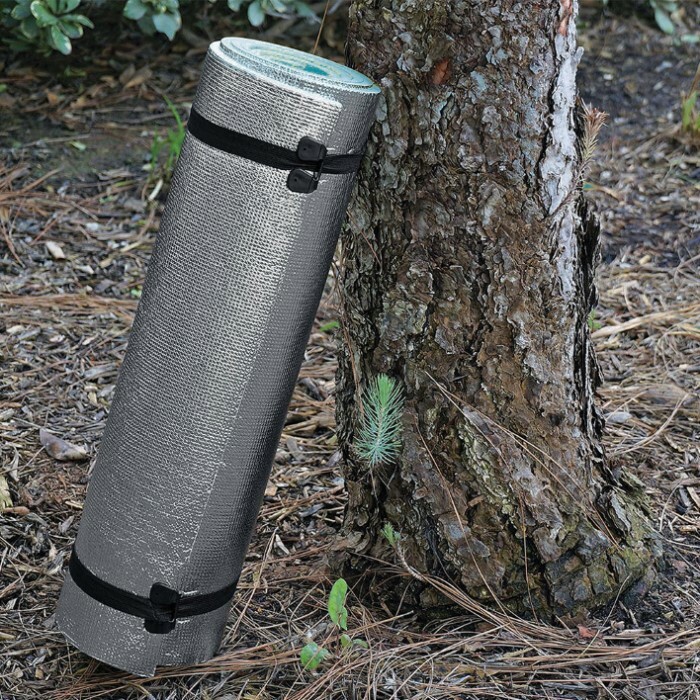 Trail Blazer Emergency Outdoor Double-Sided Mattress | BUDK.com - Knives & Swords At The Lowest Prices! 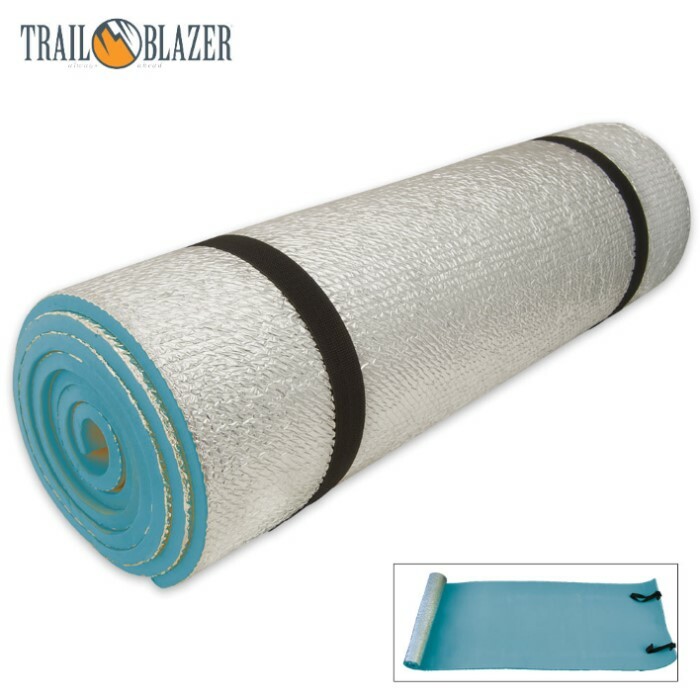 This Trail Blazer Emergency Outdoor Double-Sided mattress is great for camping, emergency kits and hiking. It is quick and easy to unroll and layout! Each mattress offers one thermal reflective side that reflects heat and an opposite padded EVA foam material. The reflective side is great for cold nights and the foam for the warmer temperatures. 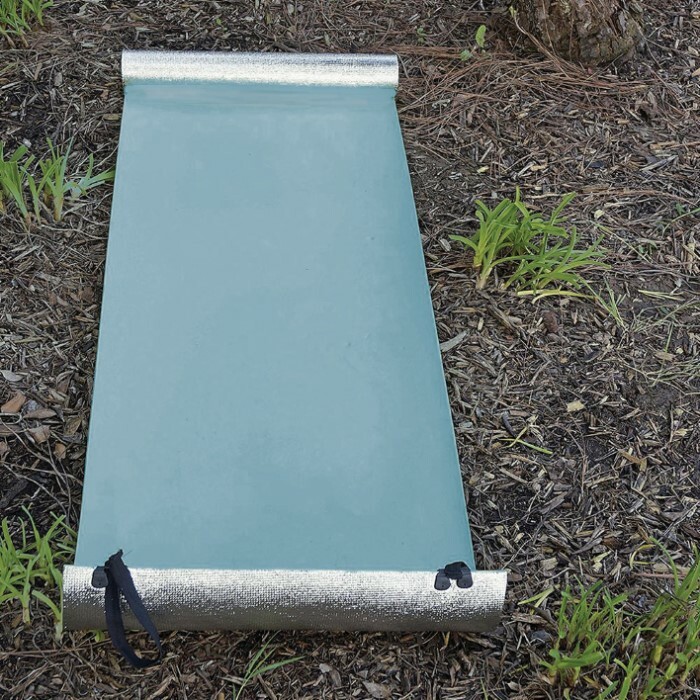 The 8mm thickness will ensure you sleep in comfort on even rocky ground. Includes elastic straps and buckles for rolled storage.